A great tool to help provide a good return on investment that can accelerate your wealth is the velocity of money. With respect to real estate, the velocity of money is simply how quickly money that is invested in a property is returned to its owner to be reinvested in another investment. With a rental property like a multi-family apartment, for example, the principal gets paid down by the tenants (how nice of them). The property value increases by increasing the Net Operating Income (NOI). This creates increased equity. 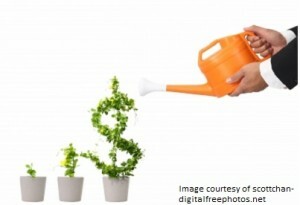 Money doesn’t grow if it sits idly somewhere. Ifyou want a good return on investment, you want your money to work for you; not sit unemployed. You could access the equity by selling the property. However, you then lose the great monthly income that’s generated. In order to keep the passive income there is another option. 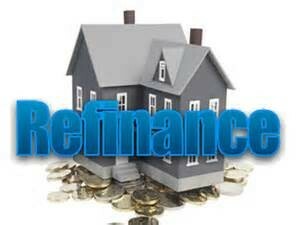 You could refinance the property, take out the accumulated equity and buy another cash flowing property. The added bonus with this strategy is that the equity removed is tax free! The steps can be repeated and before long you can purchase 3, then 4 properties if you so desire. Now that’s how you can get the velocity of money working for you. Whether you take the equity from refinancing to buy another property or inject it somewhere else, it’s important to ensure that you buy assets and not liabilities with these funds. Using the money to purchase a new car or boat, will be counterproductive to your quest to build wealth. Putting your money towards other assets that will grow your money is the way to financial freedom. Simple Acquisitions is a strong proponent of the refinancing strategy. We purchase properties that are nonperforming, and under market value. As a result we are able to implement strategic improvements to the property. We do this with the goal of raising rents and reducing expenses to further increase the NOI. This forced appreciation provides a good property valuation. this will permit the bank to remortgage the property enough to provide sufficient equity to pay back our lender partners their initial investment. Or it could allow us to further improve the property, or purchase another property of lower value without injecting any more cash in to the venture. Obtaining a great return on investment through the velocity of money is an amazing tool for real estate investors. This type of accelerated wealth is not seen with stocks or bonds. Get your money working for YOU! Real estate is all about the numbers. If the numbers don’t provide enough return on investment, then we cast it aside. At Simple Acquisitions we go through a detailed evaluation of a properties financials before we decide to buy. Interested to know what numbers are evaluated? Sign up for our Property Evaluation series and find out!